During the day Freddy Fazbear’s Pizza is a place of joy, where kids and parents alike enjoy the entertainment from the main attraction: the animatronic Freddy Fazbear and friends! But, at night, things start to change and those characters start to go missing! Funko is proud to announce Five Nights at Freddy’s 5-inch action figures with build-a-figure accessories. 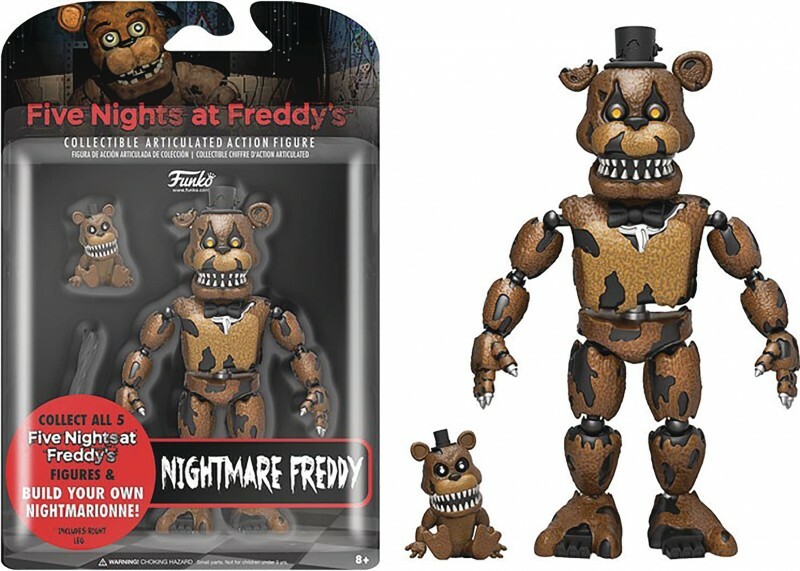 Nghtmare Freddy stands 5” tall.